A view from the Palm Trail. 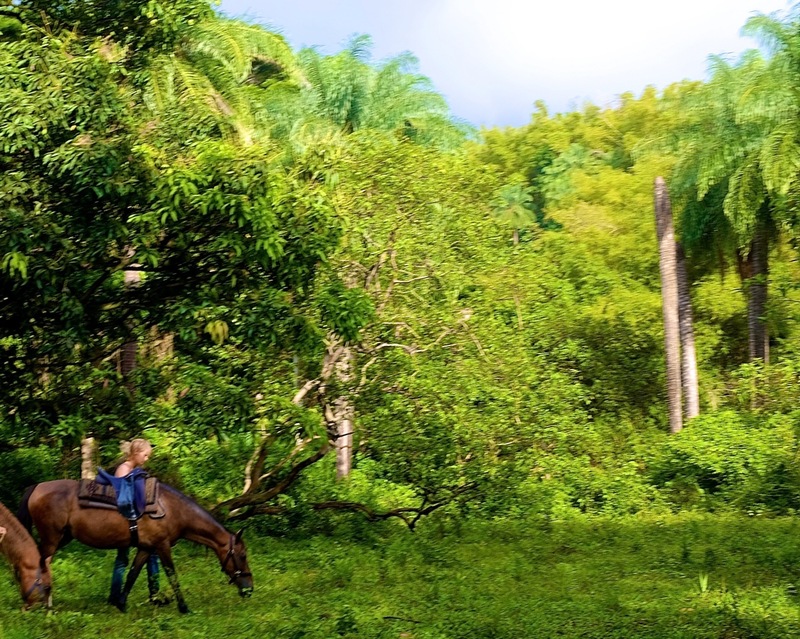 Here at our center in St. Vincent, we are getting ready for hosting the first Horsemanship Vacation called Sahaja in December 2015 – more info here. Our small country is very special and has a unique history. When Colombus arrived to the island many years ago he renamed the island Saint Vincent. People had lived here for thousands of years and named their country Yurumein which means “Home of the Blessed”. Nevertheless Colombus thought Saint Vincent was a better name and changed it. Now who was the Saint Vincent? The story goes that the Saint Vincent was born in France at the end of the 1500’s. He studied theology and on one of his travels he was captured and kept in slavery in Africa for two years. He managed to escape, returned to France and became a missionarie and I guess quite famous. I cannot find any information on why Columbus preferred Saint Vincent to Yurumein though. Later on the British occupied the island, turned people into slaves and not until 1979 did Saint Vincent gain its independence. Here are some small fun facts about St. Vincent. The Population of St Vincent & The Grenadines is 110 000. There is an active volcano on St Vincent (La Soufriere) that last erupted in 1979. The volcano rises to 4,048 feet. It is the largest of the 3 craters that are present at the summit of the volcano, the other 2, the Somma and the 1812 crater, both presently dormant. The Pirates of the Caribbean 1 was filmed 20 minutes from our center. The Amazona Guildingi – the St Vincent Parrot is the National Bird. We have 225 species of fish in the waters of St Vincent! St Vincent is the only Caribbean country in which petroglyphs, recording our ancestors’ presence are found. 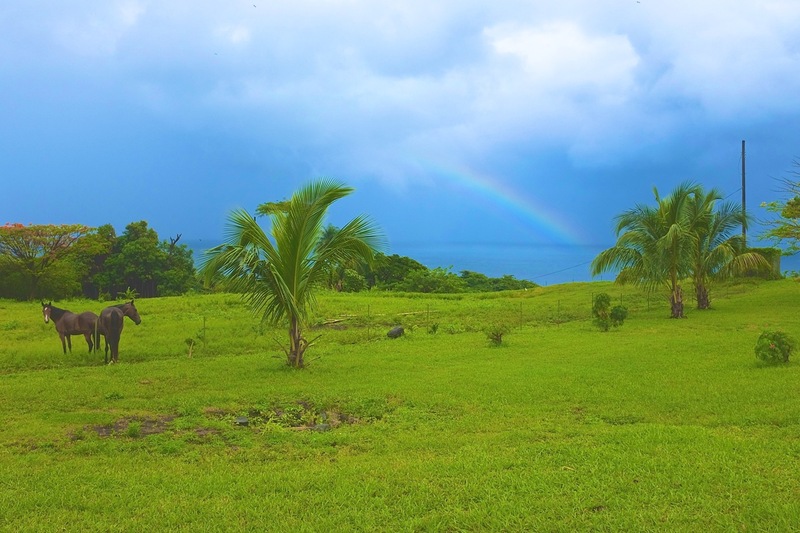 Welcome to Yurumein – St. Vincent! Jonna and I are working on preparing Jack, Elena and Darling for trail and beach rides. During the Sahaja Clinic a gentle beach ride should be possible for those who wish. In this blog we will also share more from Jonna’s journey as a working student. 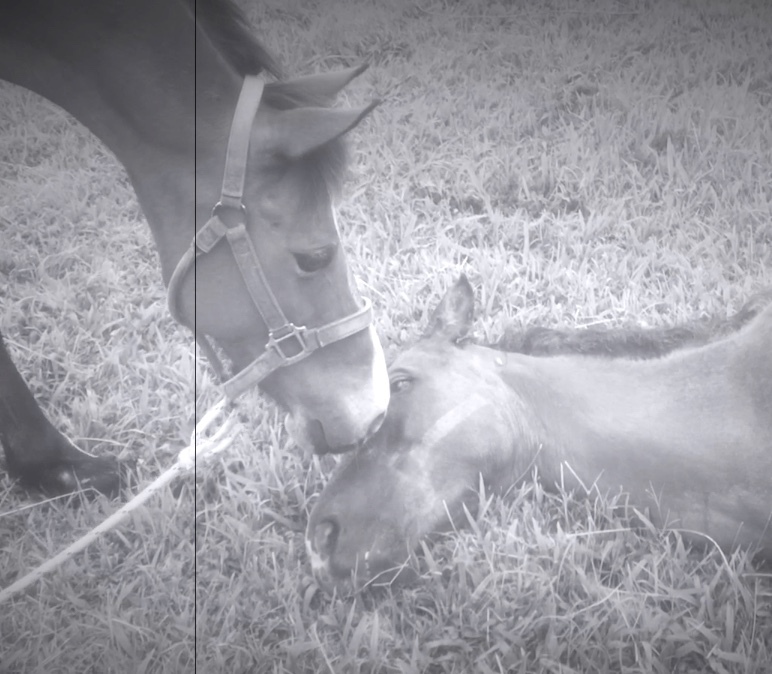 Being with horses can teach you the greatest gift of all, to be here and now. 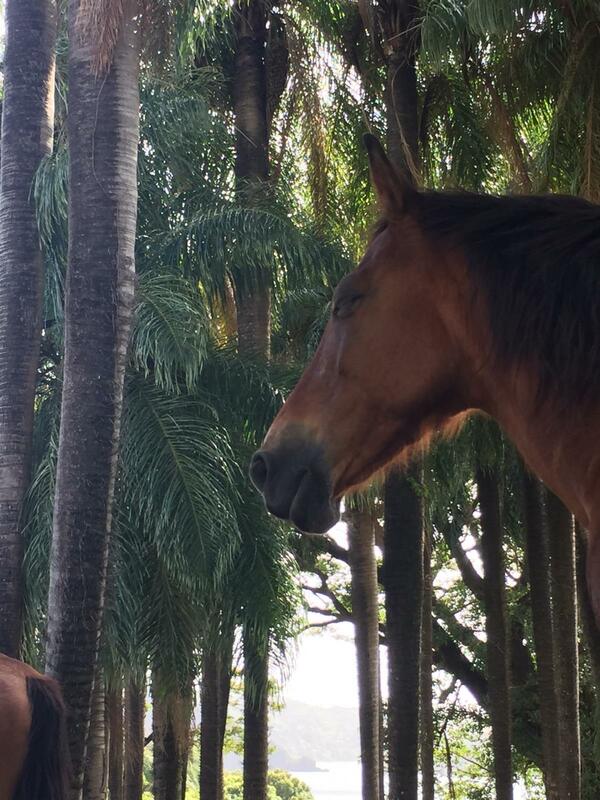 This is the way horses are living their life, totally in the present moment. If you can’t meet them there, you will not be able to communicate with them, easy as that. In Sweden I work as an occupational therapist with young adults who has got different kinds of disabilities. Every time I meet a new patient I also meet the challange to figure out who this very unique individual is. A diagnos says nothing about the person so I’ll always have to spend a long time just to get to know this new person in front of me to be able to give the right help at the right time. Many therapists don’t take the time for doing this, and the result may look good in the computer according to models, structures and productivity but is a totally different story if you ask the patient. Many times we take too little time for listening, instead we make up in our own head what we think the problem is and how to solve it. Even though the patient has a problem you’ve seen many times before it always have to be seen from the individual’s point of view and experience of the problem, and that is always unique. Each person and situation is unique. Just like my patients, each horse is also unique. I’ve found out that I can use a lot of what I know as a therapist when I’m with the horses. To be able to work and communicate with them you’ll have to spend time to get to know this unique individual that every horse represent. You also have to be aware and listen to what the horse is trying to say to you. Sometimes with my patients I can see an obvious and important problem that I would prior to start working with before anything else, but when I ask my patients what they would like to work with, It’s many times something completely else. I will have to be present in the moment, be aware about what I’m saying and about what the horse is saying, listen. This way of being with horses is really improving me in my role as an occupational therapist, this because horses respond to you straight away with their body and mind on how you act. It’s also improving me in all my other roles in life, this because they teach me to live here and now, in the present moment. Previous My teacher told me to “Kick my Horse”.